"My Three Year Old is Great on the iPhone." A Strength or a Red Flag? "My three year old isn't talking much. I'm concerned with his overall development, but he's fantastic on my iPhone! He can find it, turn it on, and get to the games that he likes with no help." As part of the early intervention assessment team, we've heard variations of this comment repeatedly from parents of two and three year olds. It leads us to ponder: Is the ability to maneuver technology really a strength? The earliest type of play is sensorimotor/functional play. This type of play is when young babies explore toys with their mouth and hands. Before their first birthday, children begin cause-effect play. For example, a baby shakes a rattle and notices that it emits a sound, or throws food on the floor to see it fall. At 12-15 months, children begin constructive play, as they manipulate objects to create something new. Around 24 months most children begin pretending within their play. A baby doll pretends to cry, and a play broom is used to clean up pretend messes. As children further develop, pretend play becomes more symbolic, with items being used to represent alternative purposes. For example, a banana becomes a phone, or a box becomes an airplane. At age four, typically developing children begin pretend playing with other children with socio-dramatic play. Children take on roles and create "rules" within their play. For young children, psychologists evaluate the child's level of play, as play indicates overall cognitive development of young children. Educators and marketers alike tout the benefits of technology for children. But is it a strength to have a child who can manipulate a phone or iPad? Looking back at levels of play, what type of skills are needed for a child to turn on a phone or play a game? A child needs memory skills in order to remember the sequence of finding a phone or iPad to access a familiar app. A child also needs fine motor dexterity in order to manipulate buttons. Ability to perform these skills is evidence of adequate working memory to learn from past events, and developed fine motor skills. However, toddler iPhone games mostly consist of touching a button to elicit and event or organizing symbols to create pictures or scenes. Most IPhone Pre-K app play is at a 12-18 month developmental level. Essentially, most apps for toddlers are glorified versions of push the button and light up toys. If a child is engaging with this type of play often, is this actually limiting cognitive development? The answer to this is still being debated amongst researchers. What do Early Childhood Standards Recommend for Technology Use? Use technology as an active and engaging tool when appropriate to provide infants and toddlers with access to images of their families and friends, animals and objects in the environment, and a wide range of diverse images of people and things they might not otherwise encounter (photos of children from other countries, for example). 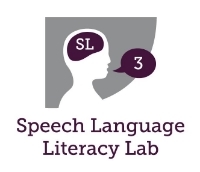 At Speech Language Literacy Lab, we believe TECHNOLOGY IS NOT A BABYSITTER. When used as an instructional, interactive tool WITH ADULTS, children can learn from technology. However, there is limited research to support that young children can develop cognitive skills from technology or games independently. How We Play: A Guidebook for Parents and Early Childhood Professionals. Let's Play Project. University of Buffalo New York.